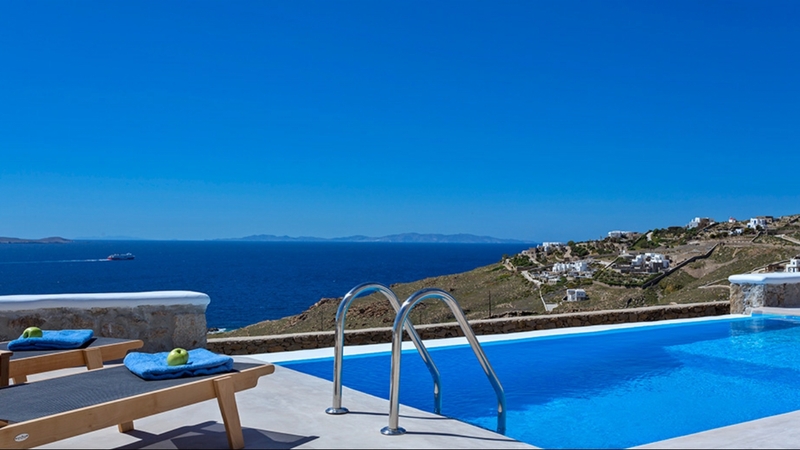 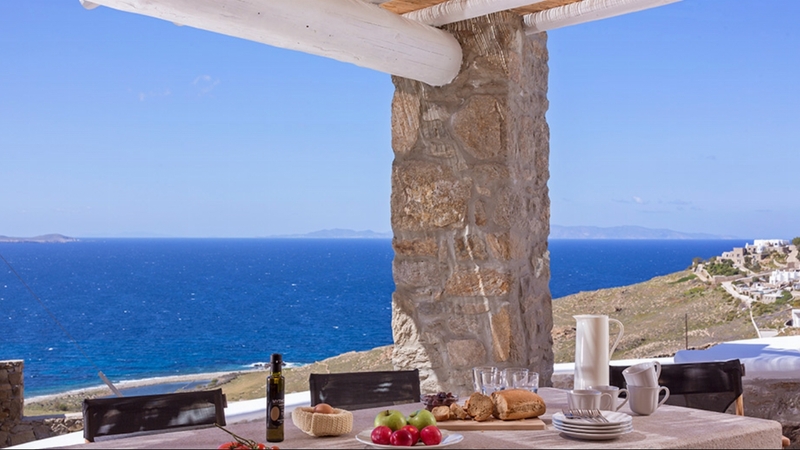 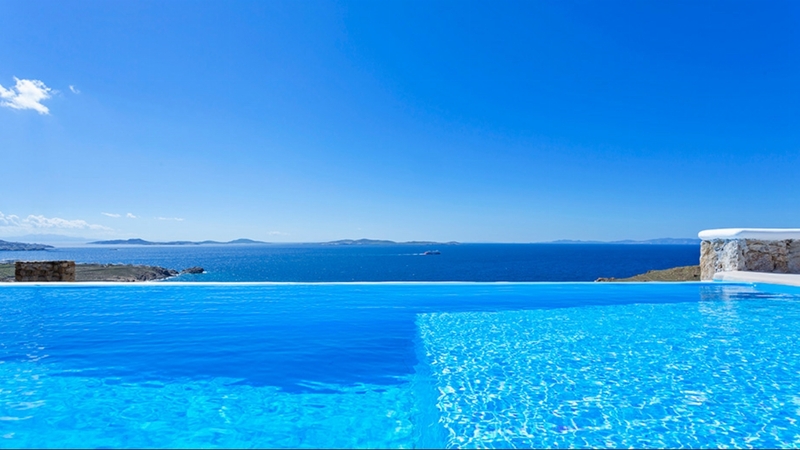 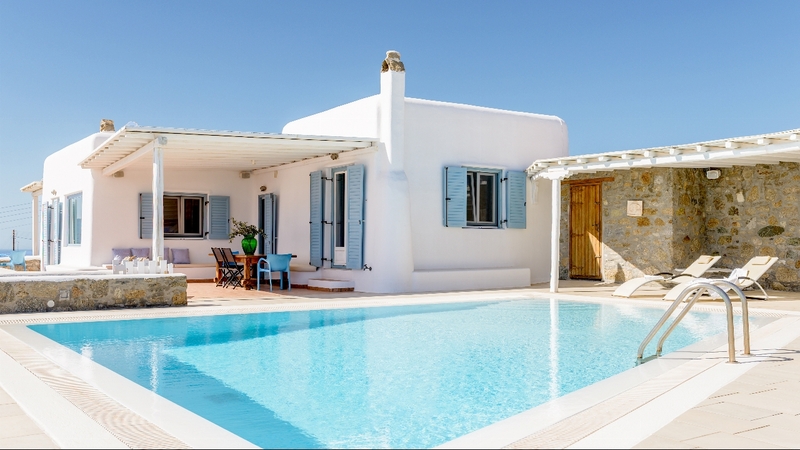 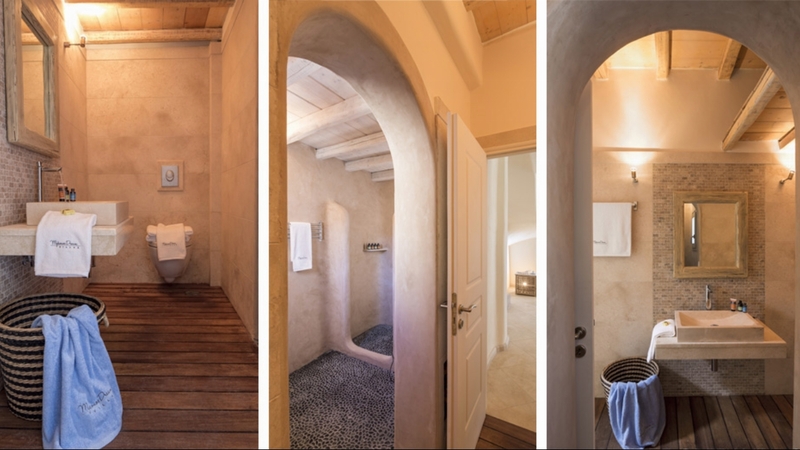 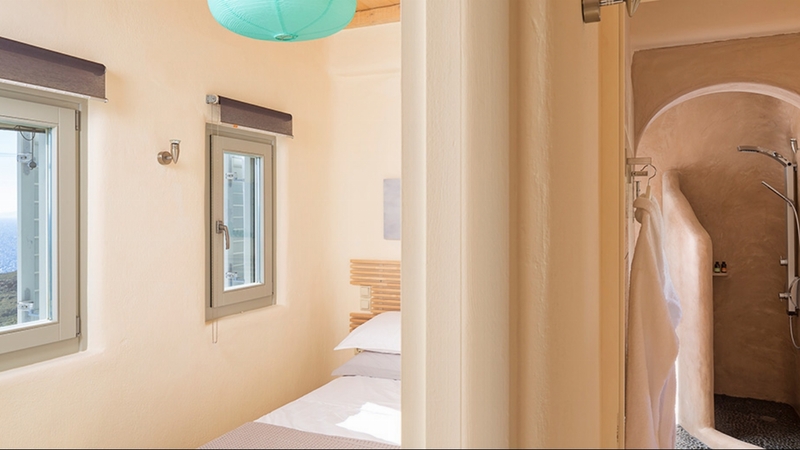 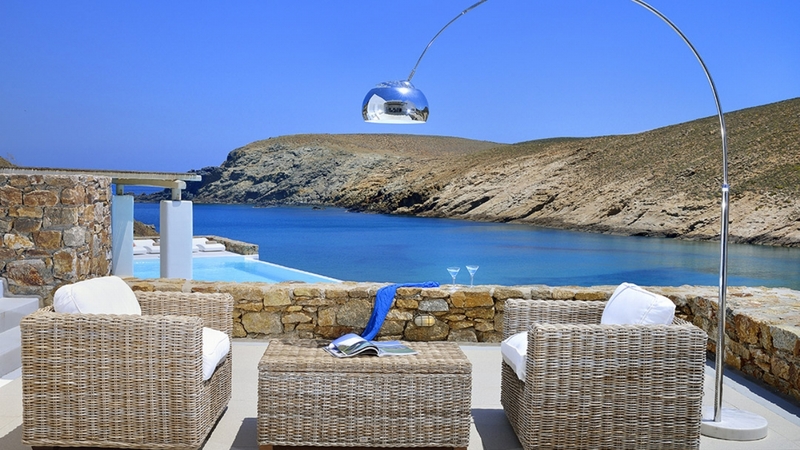 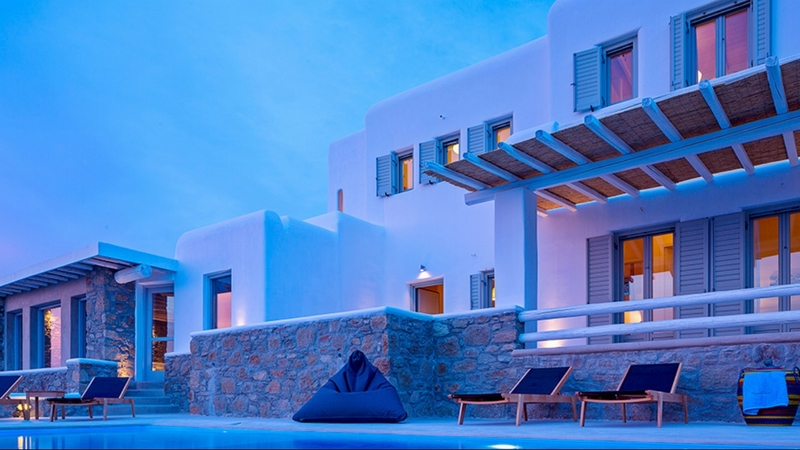 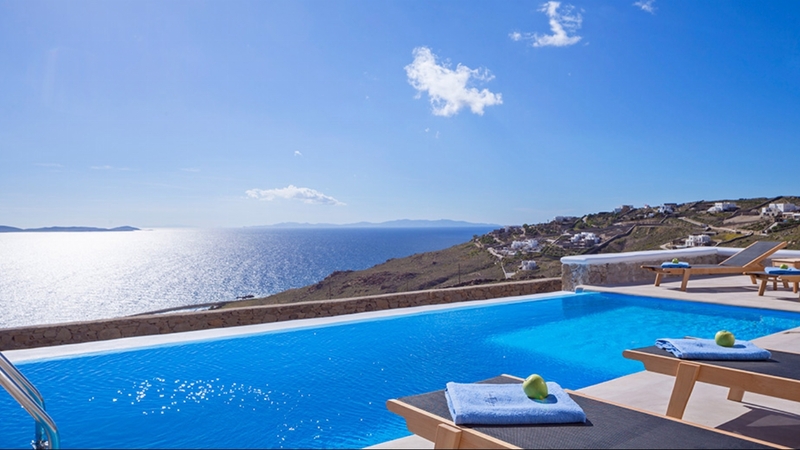 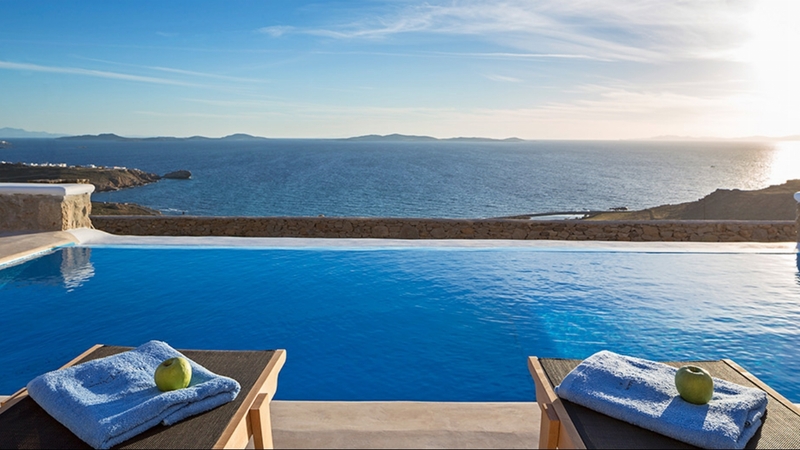 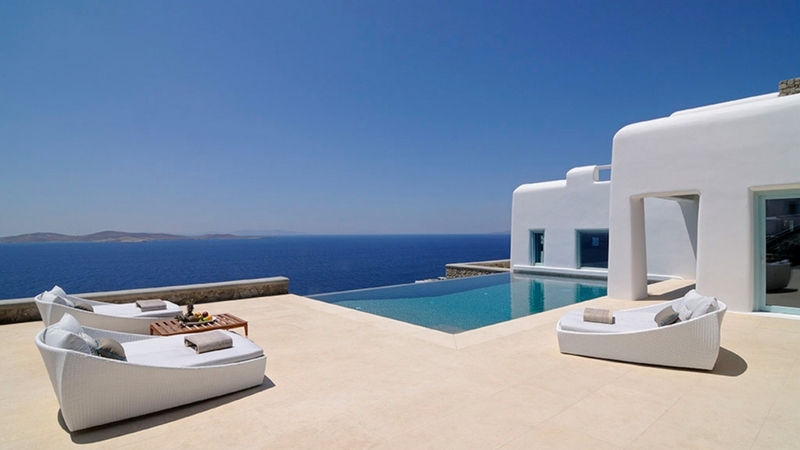 Luxury Holiday Villa Kass is perched on a slope that overlooks the bay of Agios Stefanos, a lovely area that has an air of tranquility and yet is only five minutes away from the town of Mykonos. 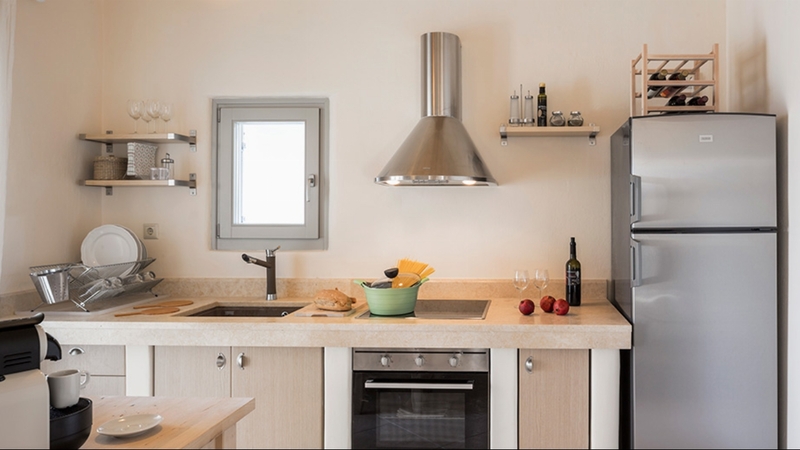 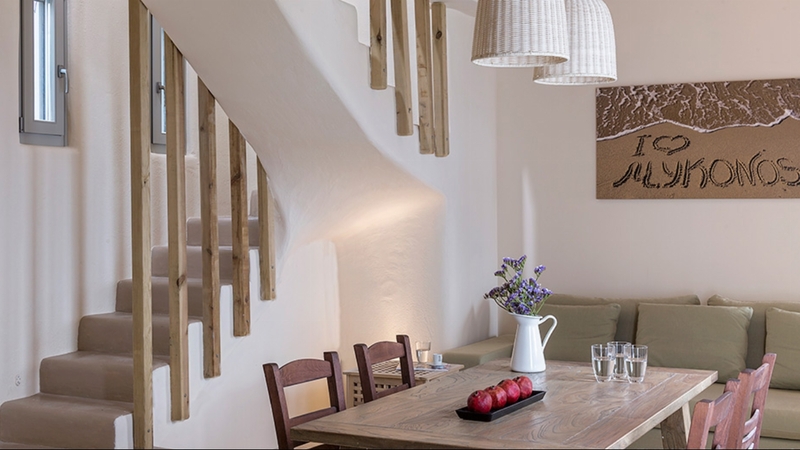 The house belongs to a complex of two family-friendly villas that are designed in the traditional minimal-chic Cycladic aesthetic. 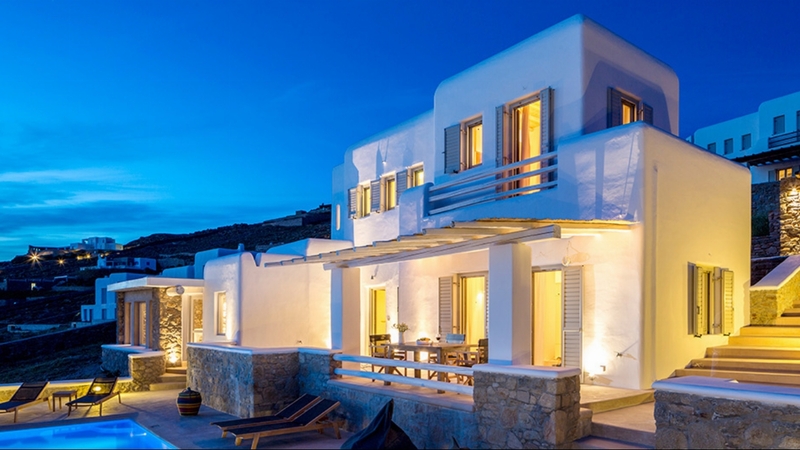 The 3 bedroom villa boasts inviting outdoor areas that are orientated towards awe-inspiring views. 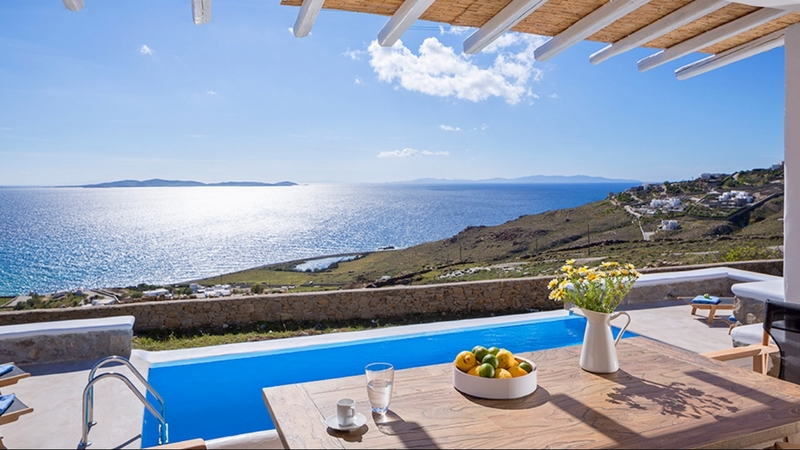 The living room opens onto a pergola shaded veranda that overlooks the swimming pool. 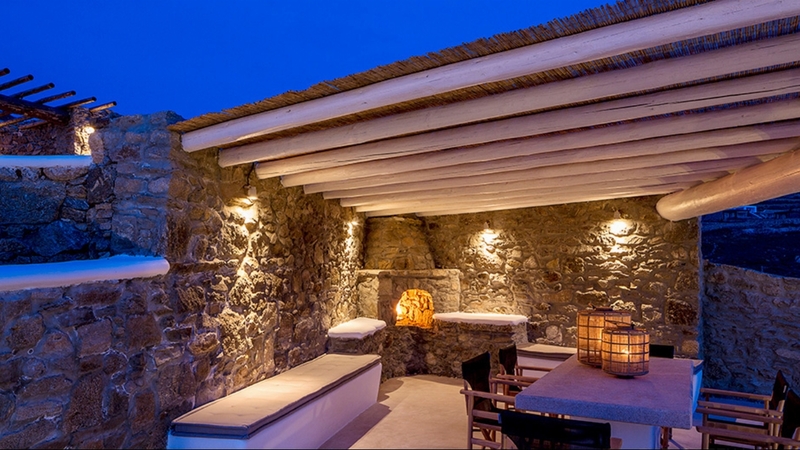 The al-fresco dining area is equipped with a traditional wood oven. 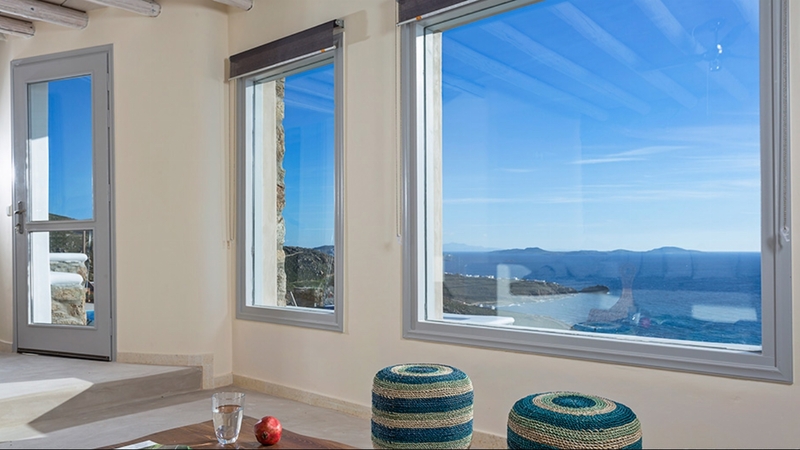 Indoors, the living spaces are broken up by large windows that connect the rooms to the seascape, creating an ultimately relaxing ambience that is underscored by comfortable furnishings and a natural palette. 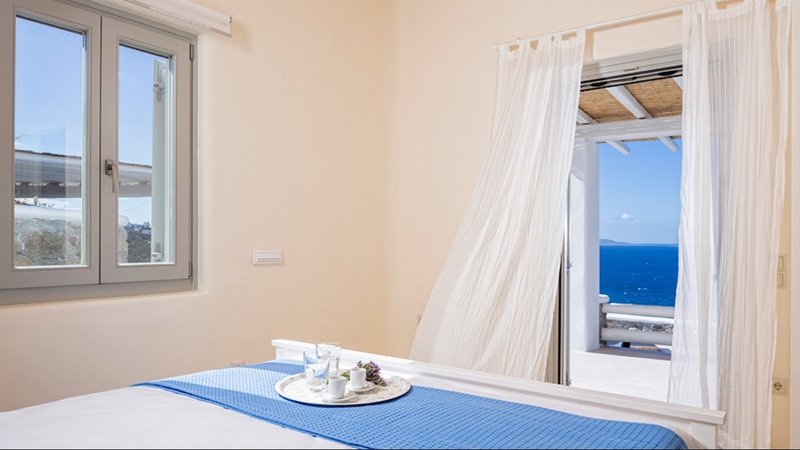 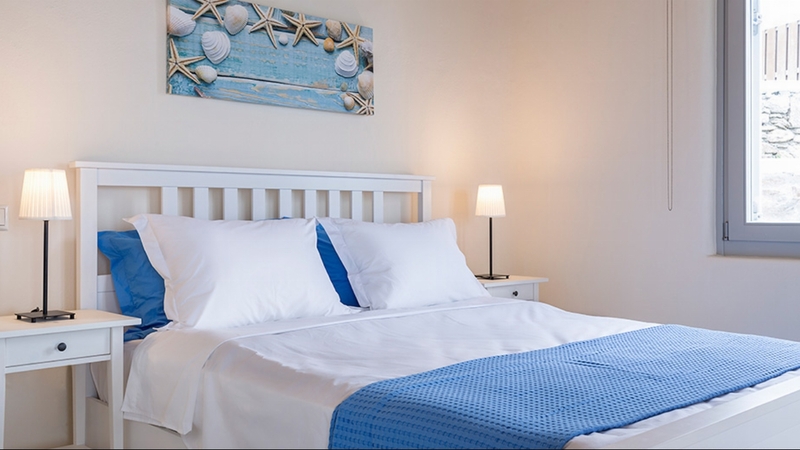 The bedrooms are intimate and cosy, decorated minimally and upholstered in muted tones to allow the natural light and the cerulean blue of the sea to breath life into the space.